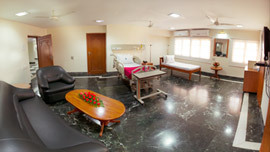 The Central Laboratory of Sri Ramachandra Medical Centre is situated in the 1st floor of Shri. Ramasamy Udayar Block. 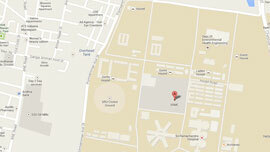 The fully air-conditioned laboratory is located in an area of about 6000 sq. feet and performs approximately 10,000 diagnostic tests per day. It has a spacious blood collection area and separate processing areas for Biochemistry, Clinical Pathology, Hematology and Microbiology samples. The Laboratory has got sophisticated fully automated biochemistry analysers, cell counters, automated culture identification and susceptibility systems. The specimens are processed by qualified technicians and reported by authorized staff. Most of the equipment are interfaced with the Laboratory Information System (LIS) and integrated with Hospital Information System (HIS), so that the results can be viewed in the ward and other patient care areas as soon as it gets released by authorized laboratory personnel. A strict quality control is maintained. Effective internal and external quality assurance systems are in place. This laboratory is one of the few that serves patients of a tertiary care medical college hospital and has also been accredited by National Accreditation Board for Testing & Calibrating Laboratories (NABL) with the certificate No: M0107 since 13.02.2008. It has been continuously reaccredited every two years with the annual surveillance of NABL. All the staff of central laboratory undergo periodic training for updation of technical knowledge and skills. The laboratory conducts CME programs regularly on topics covering latest happenings in all the diagnostic disciplines. The laboratory has 200 tests accredited under the scope of NABL. 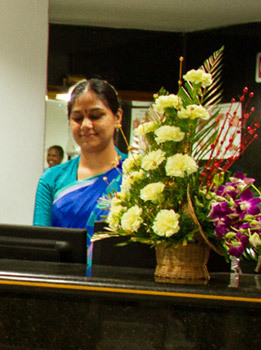 Dr. Uma Sekar, Director of Central Laboratory Services. There are 190 tests in the scope of the Laboratory. The diagnostic facilities include the disciplines of Clinical Biochemistry, Clinical Pathology and Hematology, Clinical Microbiology, Histo and Cyto pathology, Immune Hematology and Human Genetics. The Laboratory has state-of-the-art equipment. Each of them is interfaced and integrated with the hospital information system. The laboratory participates in all rural health camps and has a diagnostic facility in the Vayalanallur primary health centre.